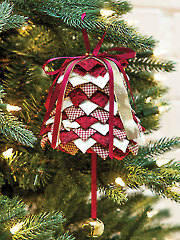 A no-sew ornament can be made easily for any time of the year. 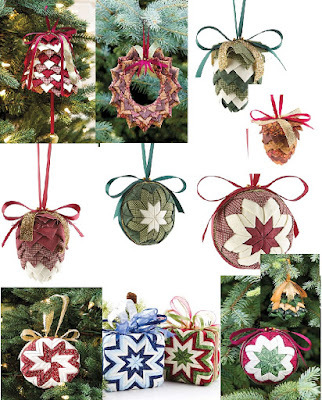 Although most patterns for no-sew ornaments are made for Christmas there are patterns also for all year round. 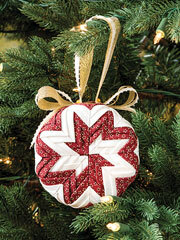 When making a no-sew ornament there is not sewing, crochet, knitting or other crafting involved. This makes it a craft everyone can do. All you need to know how to do is to pin and push. The ornaments may look complicated but they are not and you can make them as simple or detailed as you want depending on your time and the pattern you choose to use. These ornaments are not difficult but can be a little bit time consuming. To start all you need is some Styrofoam balls or smooth cone balls, a butter or craft knife, a lot of straight or dressmaker pins, 2.5” or 3” squares of fabric, glue gun, ribbon for outside of ball or to use as a hanger. You can design your own pattern to create the no-sew ornament or use one of the many no-sew ornament patterns listed below. 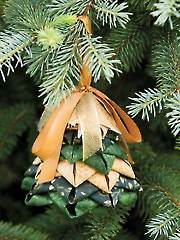 Evergreen Tree No-Sew Ornament Pattern – Easy to make the complete no-sew pattern includes step-by-step photo diagrams and instructions to create a beautiful ornament for your Christmas tree, or just to decorate around the house. 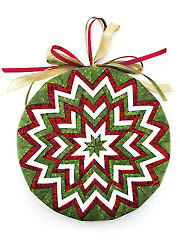 Starry Night No-Sew Ornament Pattern – No-sew wreath ornament to make perfect for anytime of the year. 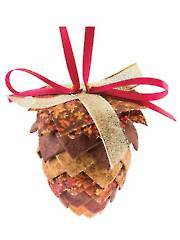 Pinecone No-Sew Ornament Sewing Pattern – No-sew Christmas pine cone ornament pattern complete with photos and diagrams. This no-sew bell pattern is a breeze!The complete no-sew pattern includes step-by-step photo diagrams and instructions to create a beautiful bell ornament to decorate around the house or on your Christmas tree. Perfect for kids and adults alike, you can finish this lovely design in about an hour. A bell-shaped Styrofoam piece is needed to secure the pins in place.